Make a 'Splash' with Adorable New Splashlings! 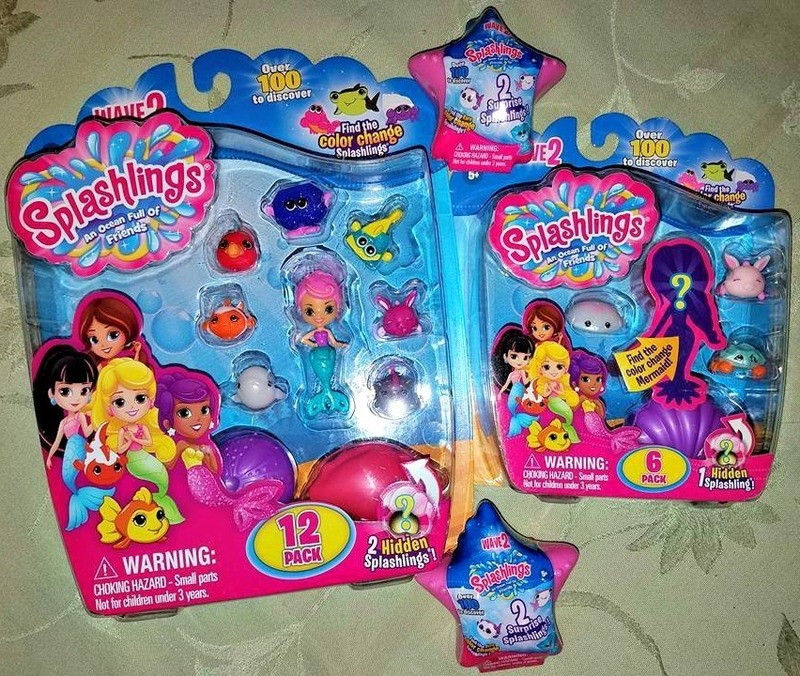 The second wave of Splashlings, one of the year’s most sought after collectibles, has just arrived at Walmart~ joining the bandwagon of the other major retailers carrying these beauties! TPF Toys latest addition of mermaid-themed characters and friends feature a series of ultra-rare color change characters, that when dipped in icy cold water, amazingly changes colors! Invented by the famed Pound Puppies®creator, Mike Bowling, Splashlings features An Ocean Full of Friends. Over 100 new mermaids, ocean friends, gems, shells and treasures join the Splashlings family, affording kids more than 200 ocean-themed characters to collect between the two waves. Splashlings Ocean Full of Friends™ 2-packs make it a surprise each time to see what two Splashlings are behind the foil pack inside! 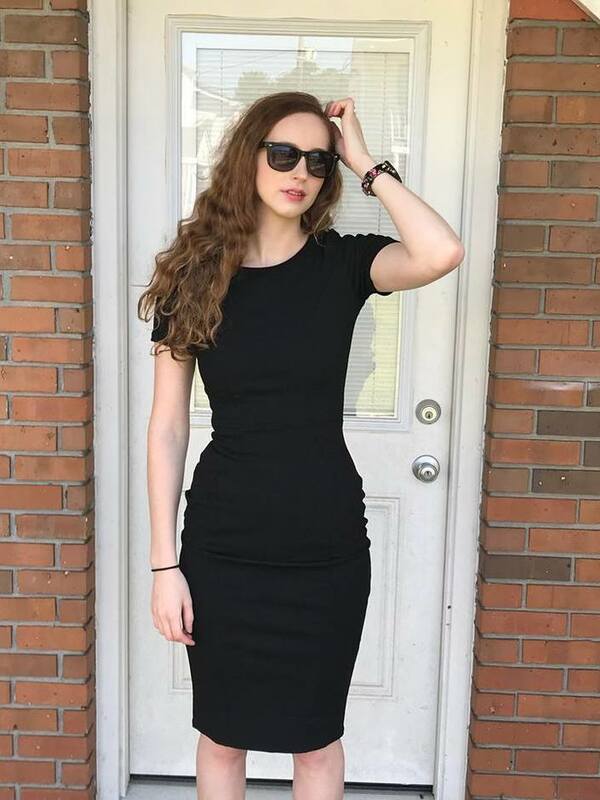 Ages 4+, SRP $2.99. A 2-pack Splashlings Collector Shell is also available; SRP $3.99. Fanfare has remained sky high since Splashlings debuted early this year. An animated Splashlings digital series, produced by Shaftesbury/Smokebomb in partnership with TPF Toys premiered on YouTube and has garnered over one million views. In addition to the complete line of collectibles, fans can collect Upper Deck trading cards and tap into the Splashlings Official Checklist & Collector’s Guide companion app, offering a fun way to keep track of their growing toy and card collections. 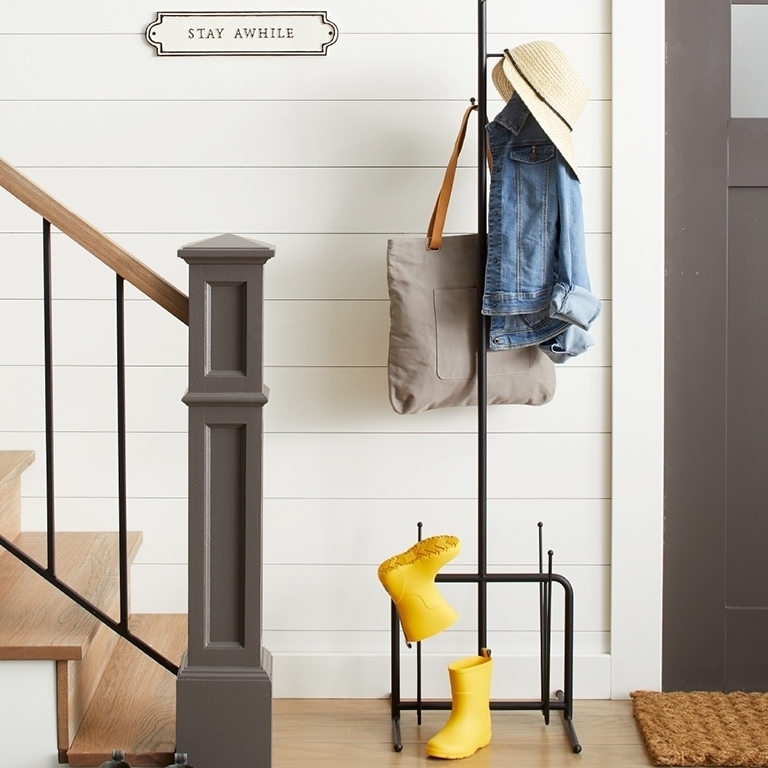 The brand will see apparel, bedding and food/beverage products in the coming year. 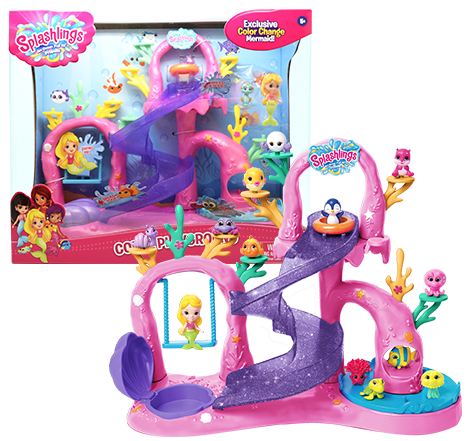 Splashlings assortments are available at Toys “R” Us, Amazon, Justice Stores, and Walmart beginning February 1, 2017. TPF Toys is an Australian-based toy company with a focus on fun that develops, manufactures and markets a diverse portfolio of innovative toys sold in more than 45 countries worldwide. 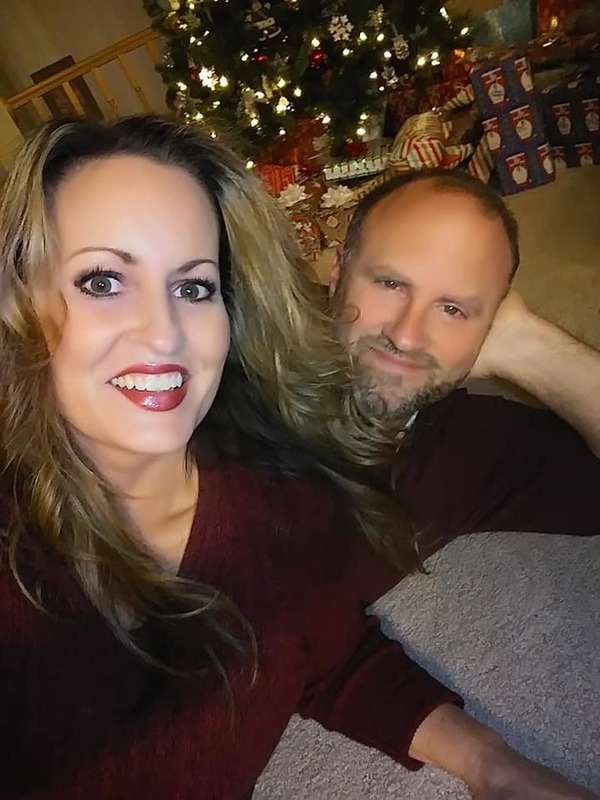 Founded in 2007 and with offices in Melbourne, Sydney, New Zealand, Hong Kong, China, Vietnam, and Los Angeles, TPF Toys has over 200 employees worldwide and relationships with top tier retailers and entertainment companies including Toys ‘R’ Us, Disney, Nickelodeon and 20th Century Fox. 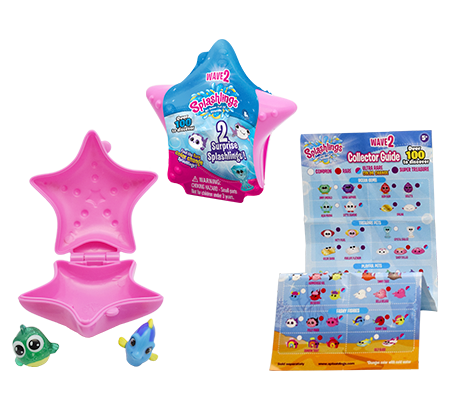 TPF Toys brand portfolio includes Splashlings, Peppy Pups, MagicCut, Stack-A-Bubble, Paddle Bubble and Mystery Eggs.